Chicken Egg Salad is a simple, tasty, delicious and easy meal which can be prepared in no time and served with tossed in mayonnaise topped with boiled eggs. 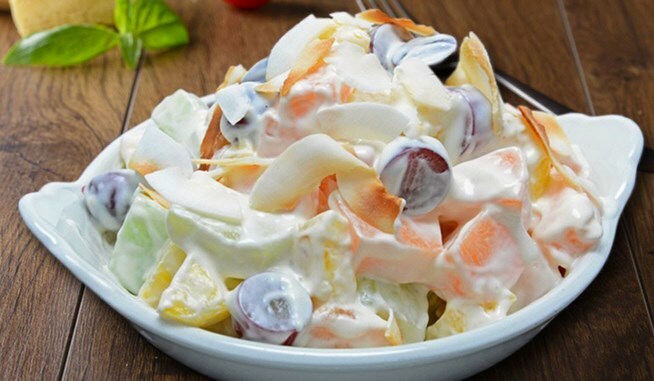 The salad is commonly served with crusty bread and butter.” Here are four tasty chicken egg salad recipes for you. • In a bowl, mix finely chopped eggs, pickles, relish chopped celery, chopped onions, parsley, celery seeds, fresh green lettuce leaves and bite size boil chicken. Mayonnaise mix to the desired consistency is reached. Add Salt and black pepper to taste. • Cover and chill for at least 1 to 2 hours before serving. Spread about 1 cup, garnish with herbs and serve. 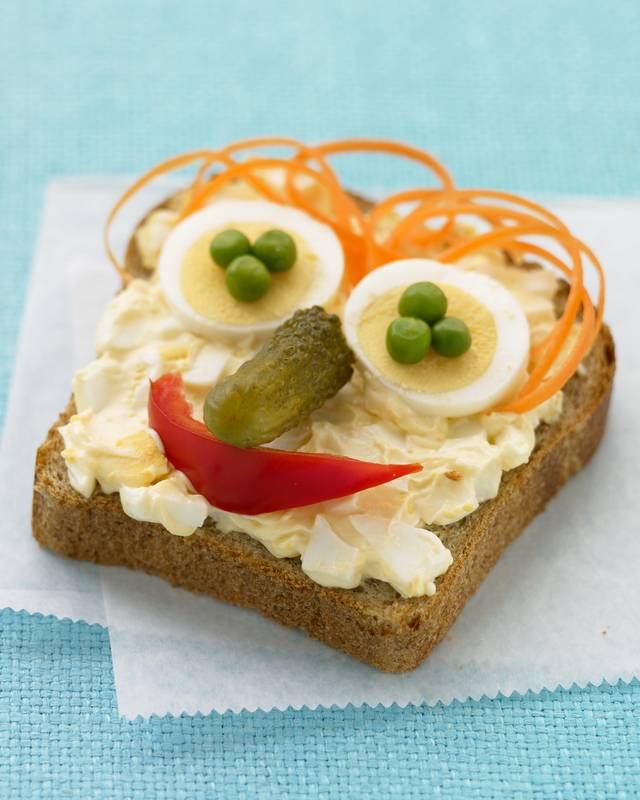 Creamy chicken egg salad combined with a delicious sandwich. 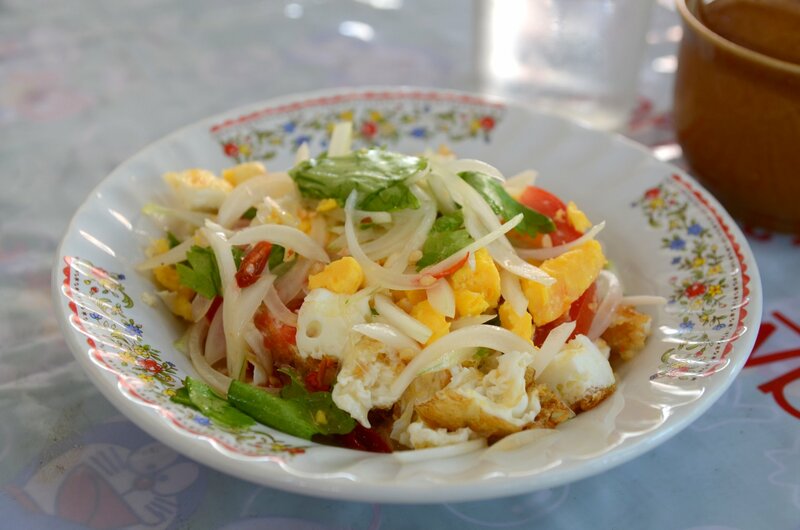 Let me explain to you how to make this salad with tender chicken chunks and hard boiled eggs. It is a very delicious and healthy recipe, and I am sure you are going to love this egg chicken salad. Take a medium bowl, add mayonnaise, plain yogurt, pickle relish, mustard paste, two tablespoons chopped fresh parsley, 1/4 cup chopped sweet pepper and 1/4 cup chopped celery combine theses ingredients well. 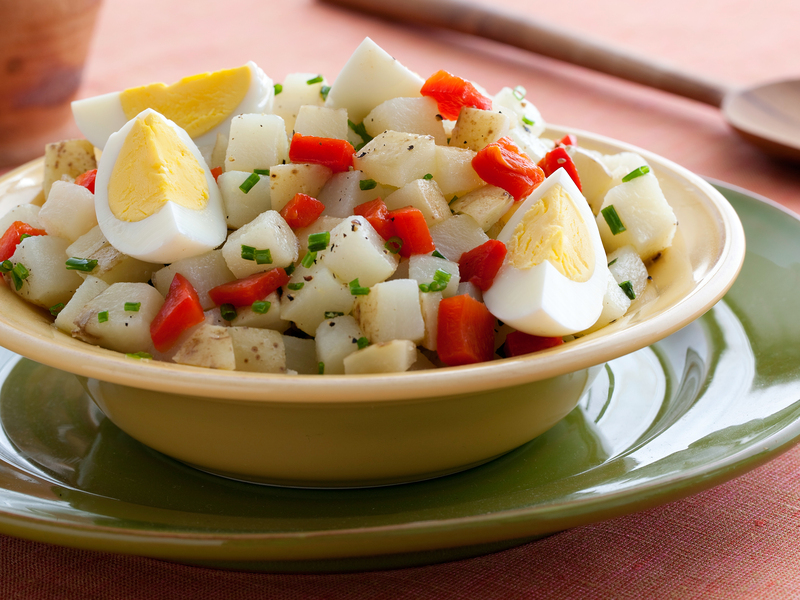 Fold in the diced eggs and egg salad season with salt and pepper to taste. Add shredded chicken and roughly chopped eggs and salt and black pepper and mix well. Keep Chicken Egg Salad in the refrigerator until ready to serve. 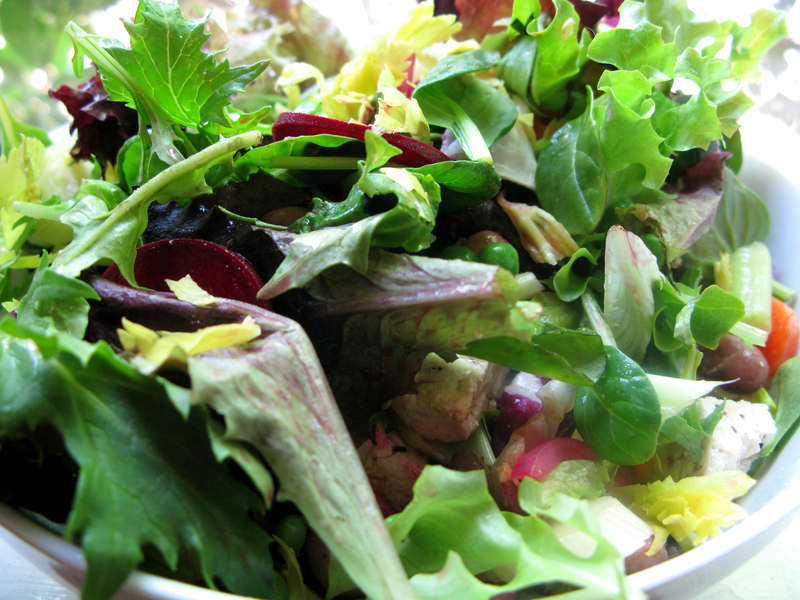 Serve cold salad with sliced bread. 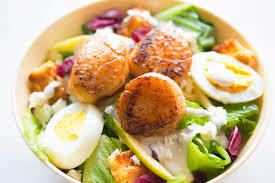 This recipe for Healthy Chicken, Soft-boiled Egg, and Spinach salad is not only delicious but healthy for you. The mixture can be used for lunch, parties dinner and you can also make sandwiches for your lunch quickly at meal time. Or, try making these as small tea sandwiches and treat yourself to an afternoon snack and a warm cup of tea. Just bring the salad in a large container and loaf bread so you can assemble them on site instead of the bread getting soggy on the way over. Perfection! To marinate chicken, we need large sized bowl; add chicken squeeze juice of half lemon. Add one tablespoon oil, two springs of rosemary leaves and garlic to the bowl, and toss to coat the chicken. For dressing, squeeze juice from remaining half lemon into a small bowl. Add mustard, honey and remaining (1/4 cup) oil. Whisk to combine. Add a bit of salt and black pepper. Bring a saucepan and add some water to boil. Add eggs and stir until water returns to boil. Cook for 4 and half minutes for soft-boiled eggs. Drain and refresh under cold water. Pre-heat a grill pan over high heat, and then cook chicken for one minute each side or until cooked. Transfer it to a large bowl. Now add spinach and dressing to the bowl and toss to combine. Divide salad in bowls. Roll eggs on a counter to easily crack the egg shells Peel shells and then carefully tear eggs in half and divide among salads. Scatter with toasted bread cubes and serve. This chef salad combines classic and fresh ingredients such as lettuce, tomatoes, celery and avocado with boiled eggs, chicken or red meat and crumbled bacon. 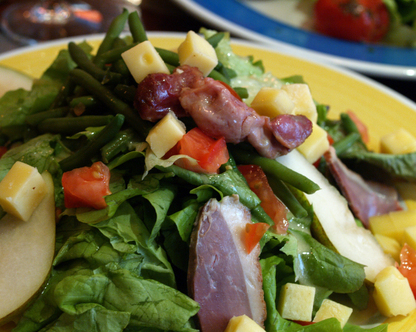 Paleo approved salad completes the meal. 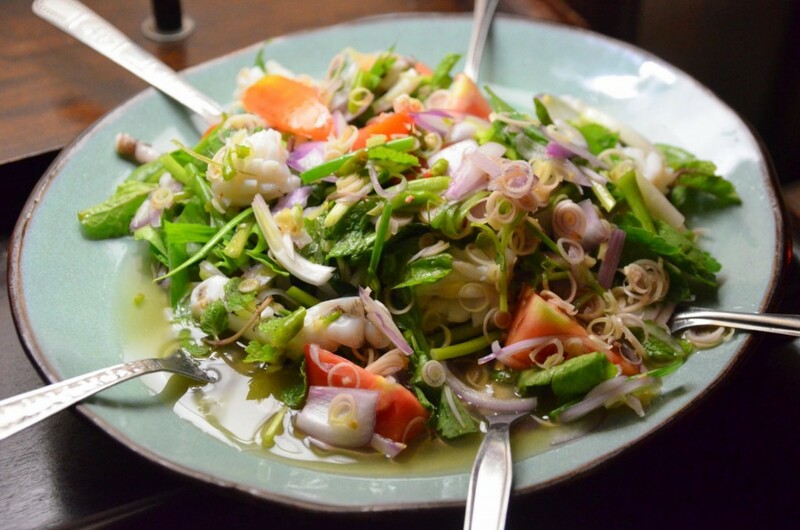 It is an amazing filling salad that can be eaten at lunch or dinner. The recipe makes two servings. Take a saucepan add some water and boil eggs (Hard-boil), cool and remove the shell. At the same time, cook the bacon and crumble, grilled chicken and bones (bone or ham). Divide the salad between two plates, and then top it with vegetables, eggs, chicken and avocado. Top with a simple salad dressing. This Chicken egg salad is very simple, healthy and delicious. Preparing this salad, we need the following simple ingredients. Take pint-layer salad jar, sweet peppers, and strawberries. 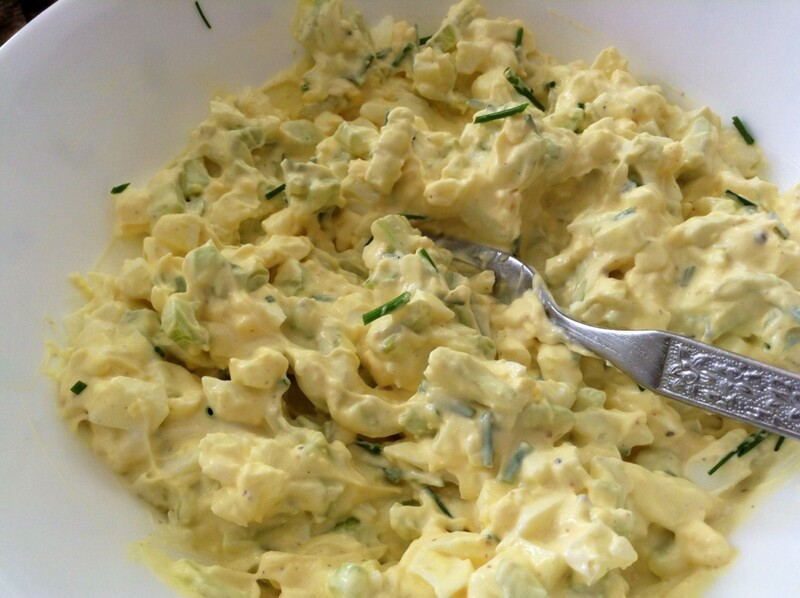 In a small bowl, combine the egg, chicken, green onions and yogurt dip; spoon the mixture over the salad. Before serving, drizzle with salad dressing. Serve with bread.